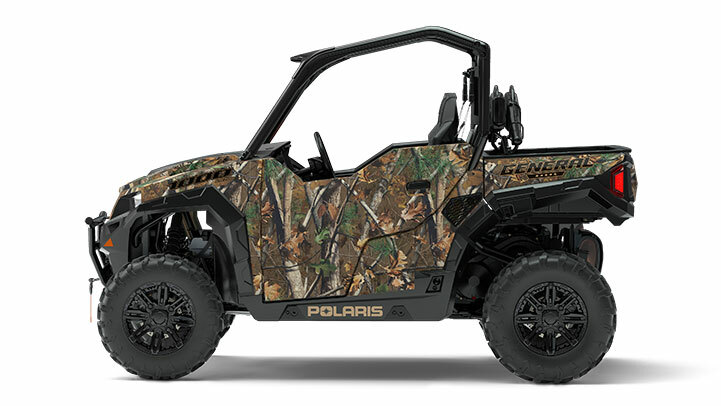 The General product line with models like the General 1000 EPS Hunter Edition in Polaris Pursuit Camo was a bright spot in Polaris’ Off-Road Vehicle business. Polaris Industries reported adjusted sales of $1,158.9 for Q1 2017, an 18% increase from q1 2016. Management reported gains in the Off-Road Vehicle (ORV) business, large gains from Global Adjacent Markets and increased revenue from the recent TAP acquisition. In the ORV business Ranger and General product lines improved while the RZR line was down as expected. The side-by-side market continues to be highly competitive with elevated promotional costs. Management reported market share gains for Polaris ATVs. In the Global Adjacent Markets Aixam Mega was strong as well as the government defense business which helped increase revenue by 24%. The following are highlights from the earnings call related to STOV markets. Figures are in comparison to Q1 2016 unless noted. ORV retail sales were down 5% for the quarter. ORV promotions were key as well as a targeted marketing campaign which showed results in March. RFM inventory management system will be expanded for side-by-sides later this year. Management reports an improved process for quickly tracking and identifying vehicle issues that will improve product safety and recall response. Management did not change full year guidance for the ORV business and expects promotional costs to remain elevated and on par with 2016 levels. ORV promotions are being matched by competitors. Taylor-Dunn added to the significant increase in Global Adjacent Markets revenue. Management expects RFM and a revamped marketing organization to create a more customer focused organization and improve sales. ORV retail sales for the year are expected to be down slightly. The ORV industry is expected to be flat to down for the year and was down mid-single digits in Q1 2017. Continued poor performance in the oil and gas regions and the agriculture market are hurting sales. The Multix launch was underwhelming, and a rapidly changing regulatory framework related to safety requirements and emission standards may provide significant obstacles. 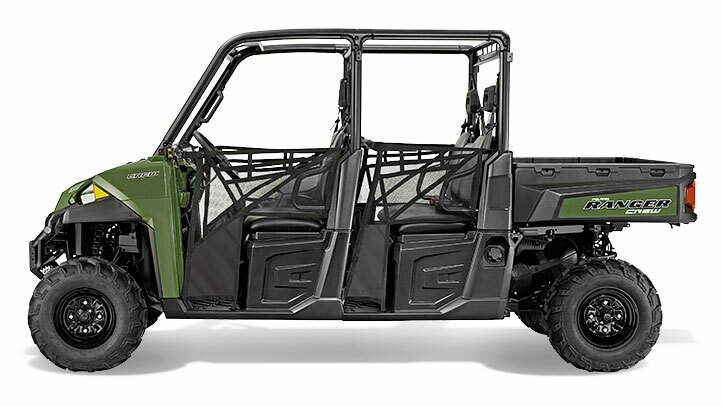 The 2015 Ranger Crew 900 Sage Green is part of another large Polaris recall. 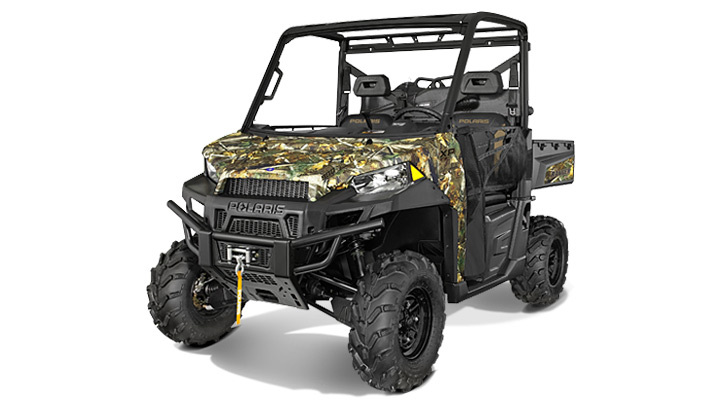 The Ranger XP 900 EPS Hunter Deluxe Edition is included as well. 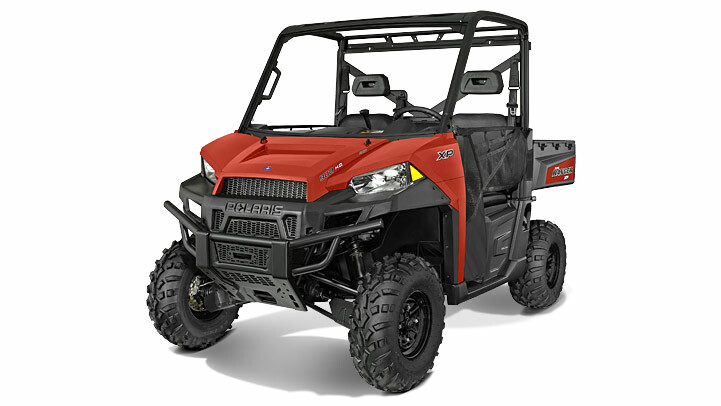 The wide-ranging recall includes all model year 2015 Polaris Ranger XP 900, XP 900 EPS, and CREW 900 like the Ranger 900 XP Solar Red. One question with all these recall is what impact are they having on the company’s sales. Management has reported losing market share in recent quarterly earnings calls, and a chunk of that is likely to Can-Am, which has had successful introductions of their Maverick X3 models in the sport segment and their Defender models targeting the more utility/work oriented segment. The recalls have been so large and persistent and stretching over such a long period of time that one would have to assume some damage to the Polaris brand, even though Polaris management appears to be reacting relatively quickly to the overall recall issue. Management reports making high level personnel hires, bringing in other personnel with specific engineering expertise, developing new processes and spending significant financial resources to address the issue. This latest recall came as a result of their new process to more quickly track post-sales issues. Besides affecting the brand and sales directly, these recalls may indicate a more deep-seated problem with the company’s product development process. Some of these recalls are the result of underlying engineering and design issues. How did these issues survive their product development process? Addressing this issue is arguably the most critical. One of Polaris’ advantages on their way to a dominant position in the off-road vehicle market has been their ability to quickly and regularly produce new vehicle models. What CEO Scott Wine likes to refer to as their “armada” of vehicles provides Polaris with an extensive lineup of vehicles to cover a wide range of market sub-segments, end-use applications and price points. This has enabled Polaris to better meet specific customer needs with more tailored vehicles than their competitors. The ability to innovate and quickly bring new vehicles to market is even more important now as competition in the side-by-side market has elevated in the past 2-3 years. A host of OEMs are now producing more vehicles, more quickly and attacking a wider range of market sub-segments. This translates into greater head-to-head feature and pricing competition between individual vehicle models. If a weakness is revealed in a product lineup then it needs to be quickly remedied with a new model or variation of an existing model or that OEM risks losing sales on an ongoing basis. Therefore, the vehicle product development process is critical to success and Polaris will need to fix any underlying problems in their process. Description: This recall involves all model year 2015 Polaris Ranger XP 900, XP 900 EPS, and CREW 900 recreational off-highway vehicles (ROVs). The recalled ROVs were sold in a variety of colors and have either three or six seats and a rear box. “Ranger” is printed on the rear box, and “900” is printed on the hood of the ROVs. All 2015 Ranger 900 models and vehicle identification numbers (VINs) are included in this recall. The VIN is printed on the frame on the driver’s side towards the rear of the vehicle. To check for recalled vehicles by VIN, visit www.polaris.com. 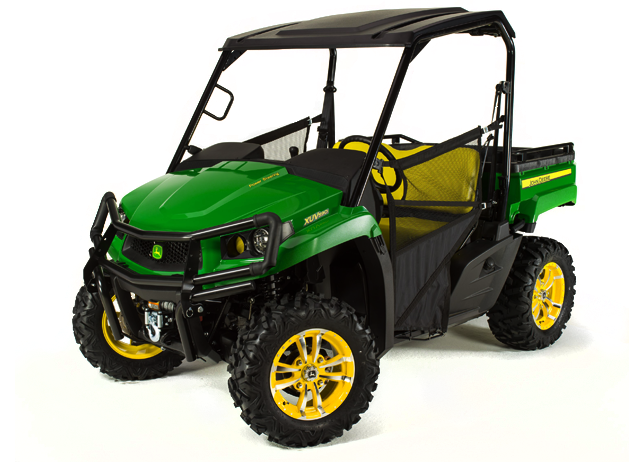 The John Deere Gator XUV590i S4 is being recalled because of an issue with the throttle cable. The four-passenger Gator XUV590i S4 is being recalled as well. John Deere has announced a recall of approximately 8,500 Gator XUV590i and XUV590i S4 models sold between January 2016 and March 2017. The recall is being initiated because “…the dust boot on the throttle cable can come loose, resulting in the vehicle not slowing down or stopping, posing a crash hazard.” To date there have been no reports of injuries related to the issue. This is a fairly large recall compared to many of the UTV recalls, which typically number a few thousand or less. 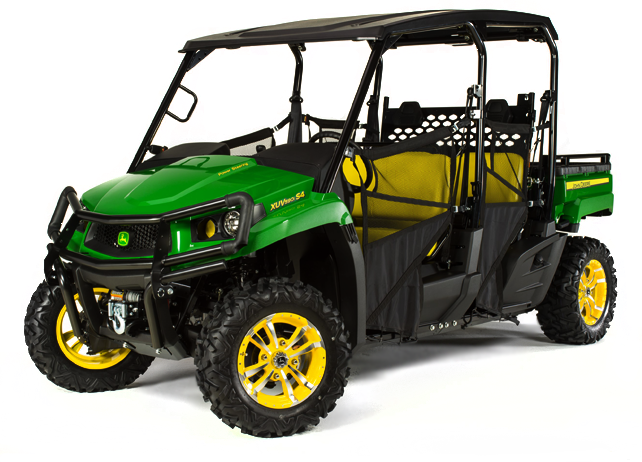 It also represents a significant amount of the UTVs that John Deere sells annually as the XUV or crossover Gators have been an important part of their product line in recent years. According to the recall information, there were only two reports, so John Deere appears to have tracked this issue down and initiated a recall fairly quickly. The following is information from the Consumer Product Safety Commission. Hazard: The dust boot on the throttle cable can come loose, resulting in the vehicle not slowing down or stopping, posing a crash hazard. Description: This recall involves John Deere Gator™ Utility Vehicles with model number XUV590i or XUV590i S4 printed on the hood and the “John Deere” and “Gator” brand names printed on the cargo box. The serial number, located on the frame on the rear of the machine above the hitch, begins with 1M0590 and fall within the ranges on the chart below. The recalled utility vehicles come in several colors and have four-wheel suspension with side-by-side seating for two or four people depending on model. Incidents/Injuries: John Deere has received two reports of the dust boot on the throttle cable coming loose. No reports of injuries. Remedy: Consumers should immediately stop using the recalled utility vehicles and contact a John Deere dealer for a free repair. John Deere is contacting all registered owners of the recalled vehicles directly. Sold At: John Deere dealers nationwide from January 2016 through March 2017 for between $10,000 and $12,900. Manufacturer(s): Deere & Company of Moline, Ill.